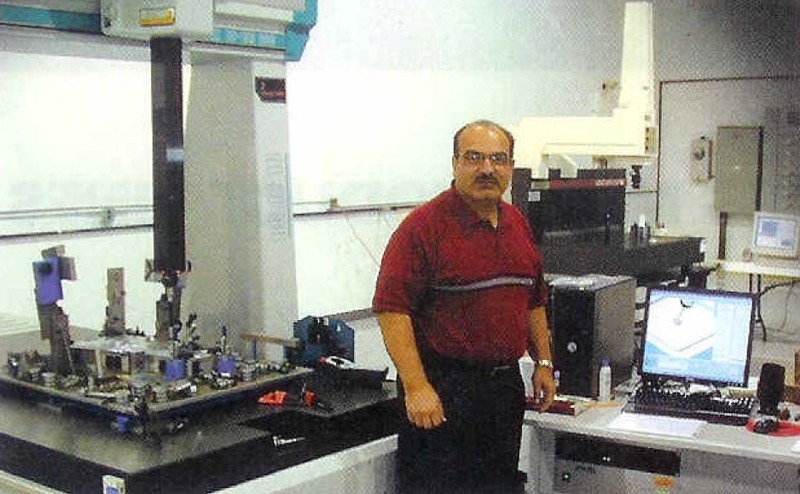 When Mohamed Abdelhafiz formed his contract measurement company Dimensional Measurement, Inc. (www.dimensionalmeasure.com), he selected four types of coordinate measuring machines (CMMs). Two of the machines were new, and two were remanufactured and retrofitted with a software package that Abdelhafiz said gave his company the ability to quickly react to customer demands. CMM equipment supplier Xspect Solutions Inc. (www.xspectsolutions.com) furnished Dimensional Measurement with a new Wenzel LH8.10.7 CMM, an Xspect Solutions X-Centric video CMM, and two remanufactured CMMs – a Sheffield RS150 and an IMS Impact. Three of the four machines were equipped with OpenDMIS software; the IMS Impact machine was not. Mohamed Abdelhafiz relies on OpenDMIS software to run his coordinate measuring machines. However, that IMS Impact machine eventually will run OpenDMIS because Abdelhafiz said it takes the guess work out of CMM programming. He said the software seamlessly integrates CAD data with the CMM programming and measurement process, and it provides a high level of power, precision and productivity with the single click of a mouse. The software does not have popup windows and incorporates dynamic sensitive toolbars, action icons and context-sensitive work areas. Abdelhafiz said that view ports remain freely visible at all times to maximize operating efficiency. Today, his company offers measurement services for production and prototype parts for automotive OEMs and suppliers, medical manufacturers and some makers of consumer plastic parts. It also provides certification services for gages and fixtures as well as CMM programming and training.